As always, start about 5 mins in to miss the adverts and guff. I wish someone from here would start a podcast. I bet it'd be great! 52 minutes of Jello is probably more than enough. There isn't that much new stuff in it. Even allowing for the dodgy sound quality, listening to Jello for any length of time can be an ordeal. 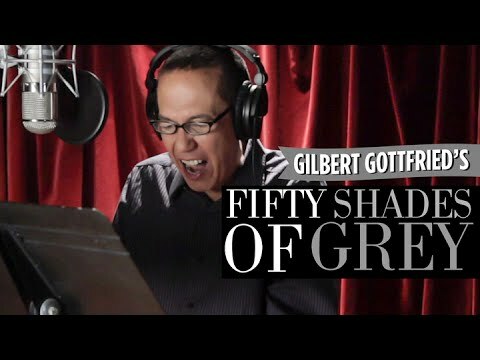 He reminds me of Gilbert Gottfried! I spat at him once. In my defence, he was already dripping with saliva by the time I overcame my reservations and flobbed at him. Did anyone read the incrdibly strange records books? Worth getting? I remember seeing them in a comicshop bargain bin a few years ago and thought, "meh records, got enough of them already where are the Ditko raers" and wandered of. Regrets is all I have left. Hey there. We are doing an all vinyl show for a Berlin Radio station. It's German though but there is enough music to skip to. Yes - I bought them both when they came out (mid to late 90s I think). Great at the time (those pre-internet halycon days) to see and read about people talking about their "strange" records - it's where I first saw a reference to The Three Suns. 25 years or so ago when I purchased the pair I found them mind blowing. I'd already got wise to the fact buying the odd "strange" charity shop record based on the artwork/titles as often as not paid some sort of dividend (especially as this was the time when they rarely charged more than 50p a LP) but the books made me realise exactly how deeper the vinyl rabbit hole went. That said broadband internet, blogs and file sharing has long since put most of the information and music out in the public domain for "free" so the books are a little surplus to requirement in that respect. On the other hand the interviews with collectors are certainly interesting with regards to their philosophies, observations and attitudes. I'd say if you're not familiar with the work of their publisher Re/Search or not a collector of books I'd get them from the library or download as kindle/zip files before buying. If you're familiar with and enjoy Re/Search's classic Industrial Culture Handbook, JG Ballard reader, Modern Primitives, Angry Women or Pranks titles you can purchase with confidence. Used to have them. Wonder where they went ... fabulous books!